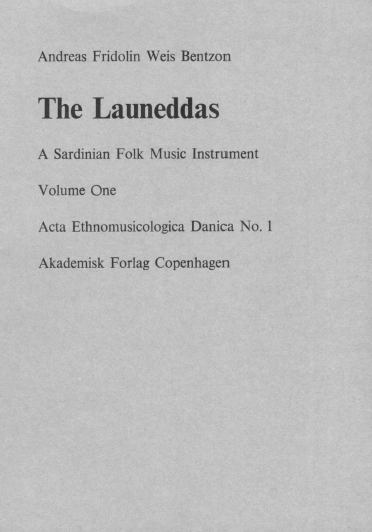 (An instrument of Sardinian folk music) Budstikken 1959, National Museum of Denmark, Pages 41-59. Copenhagen. 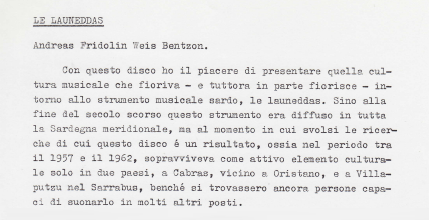 ( Notes on the musical life of a Sardinian village ), Folk vol. 2, 1960, Pages 13-32, Copenhagen. 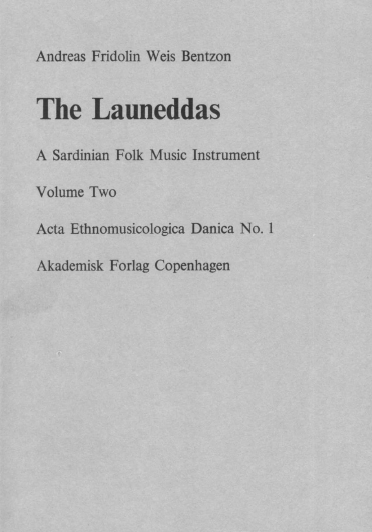 (Launeddas, an instrument of Sardinian folk music), Dansk Musiktidsskrift, N. 3, May 1961, Pages 97-105. Copenhagen. Ichnusa, n. 45, 1961, Pages 22-33. 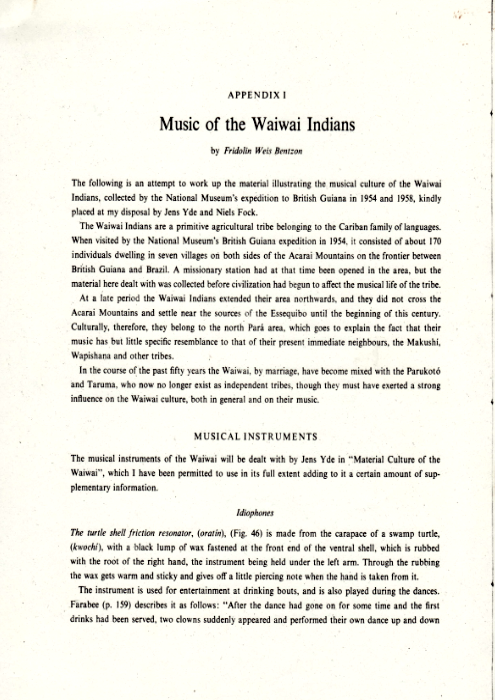 Niels Fock, in Waiwai: religion and society of an Amazonian tribe, APPENDIX I, 1963, National Museets skrifter. Etnografiske Raekke VIII, Pages 262-302. Copenhagen. (Happy New Year – An ethnological tease on the ritual Danish way to welcome the New Year), Jordens Folk, Etnografisk Revy, 2nd year, N. 1, 1966, Pages 173-174. Copenhagen. (The farmer from South Vietnam) and Om vietnamesisk (The language of South Vietnam), Jordens Folk, Etnografisk Revy, 2nd year, N. 4, 1966, Pages 338-343. Copenhagen. (South East Asia), Nicolaisen, Nellemann, Kehler (eds. 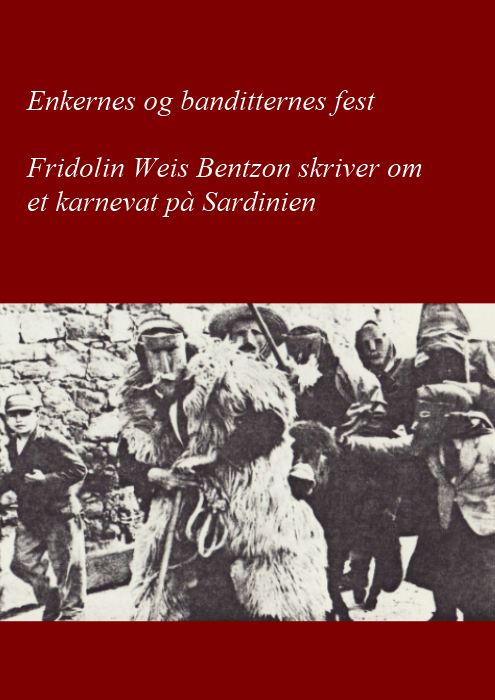 ), Verdens folkeslag i vor tid, Pages 44-64. Copenhagen 1968. Copenhagen 1970. Published as attachment to the record of the same name by: Dischi del sole, regional series Sardinia, Milan 1974. 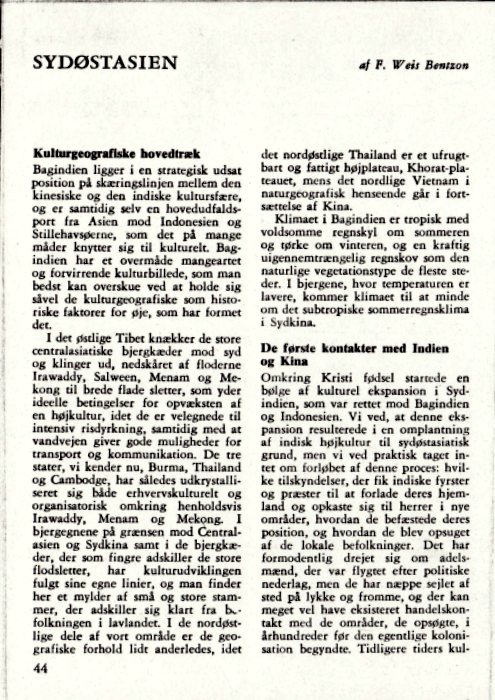 Also published on BRADS n. 4, 1972-73, pagg. 3-8. Sonet, 1955, 33½ rpm. DLP 1, Adrian Bentzon's New Orleans Orkester. Fridolin played the double bass in all tracks bar one, where he played the banjo. 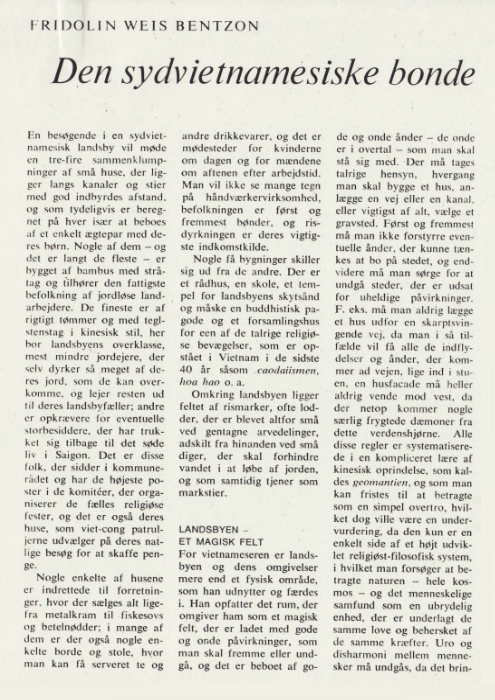 -Untitled, November 1958, 5 pages on launeddas in Danish. This was certainly prepared for a conference held around 1958, since it ends with a sample from the player Giovanni Lai, introduced as being 20 years old. Giovanni Lai was born in 1937. There is no reference to the theme or location of the conference. In Italian, five pages. 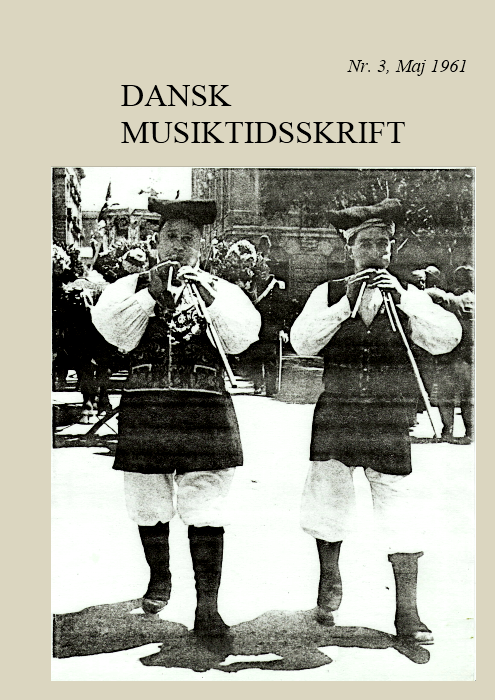 (Sardinian folk music), Foredrag holdt i Dante Alighieri mandag d. 19/2/1962, 9 pages in Danish. 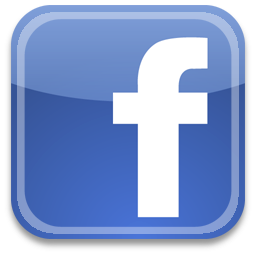 - Is launeddas – Sociology and Esthetics of a Sardinian Folk Music Tradition. Conference held at the Music Academy in Sassari on 29/05/1965, 20 pages in Italian. (The development of dances in Southern Sardinia and its social basis). 6 pages in Danish. Concentrates on the main subject of the studies, 31 pp. 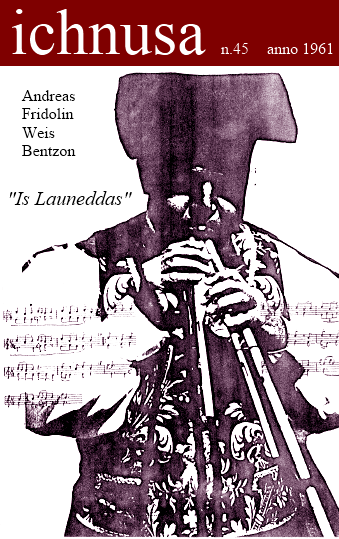 In the course of the summer of 1962, Bentzon filmed 20 B&W, 16 mm rolls of film, a total of 60 minutes, to record the world of launeddas players. 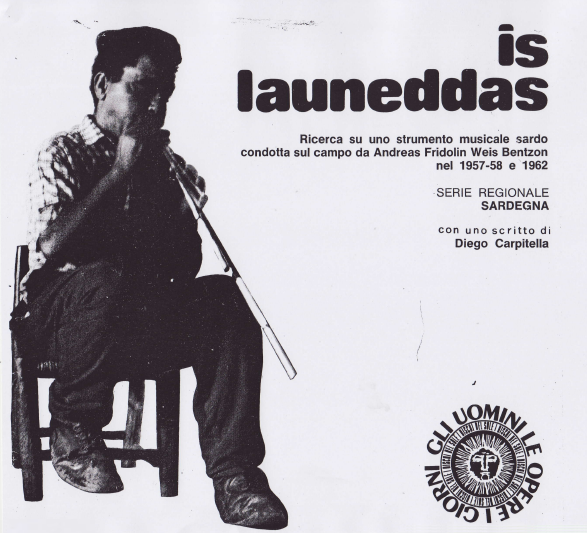 In 1998, Fiorenzo Serra, commissioned by Iscandula, used this filming, plus sound recordings and photographs, to put together a 38-minute documentary entitled ‘Is launeddas, the music of the Sardinians'. 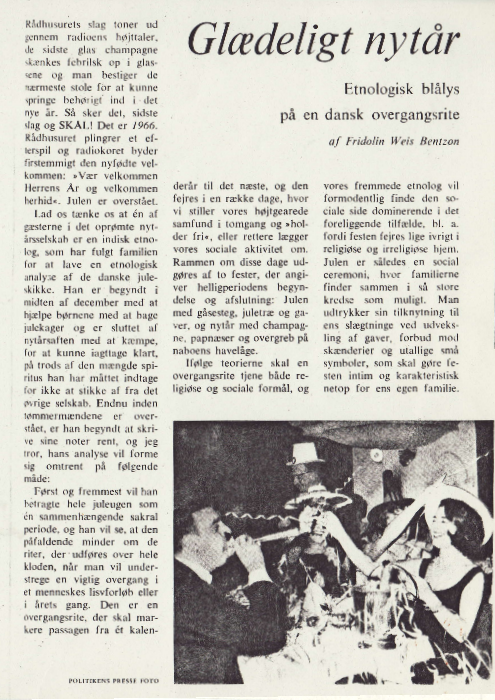 In January 1962, Bentzon produced three shows for the Danish Radio and two for the Norwegian Radio. We have not been able to compile a full list of the materials available to date. In 1979, several documents were transferred from the Institute of Anthropology of the University of Copenhagen to ISRE in Nuoro, but the latter has not allowed us to view them. Photographs taken between 1955 and 1962 are kept at the National Museum of Denmark, and hey amount to c.257 negatives, a copy of which is currently held in Iscandula's archives. We are aware that the ISRE institute in Nuoro holds an interesting set of photographs taken by Fridolin e Sara Ruth Bentzon. 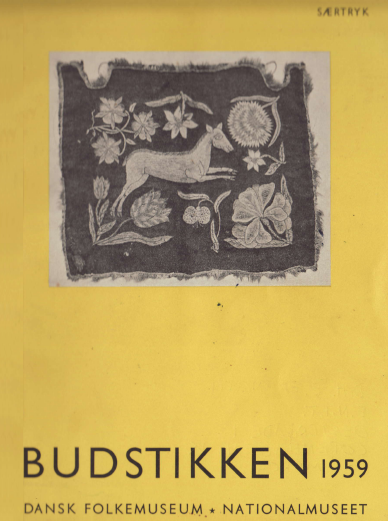 While researching launeddas in 1958, Fridolin collected some 151 tools on behalf of the National Museum of Denmark, illustrating the world of farmers and shepherds, as well as religion, carnival, bread-making, folk music etc. In 1959, these were exhibited for two months at the National Museum of Denmark in Copenhagen. In addition to sound recordings of launeddas, Benzon collected: 38 women's songs, 28 guitar sonatas, 18 poems, 80 tenores recordings and 85 fantasy tales. Iscandula plans to publish a selection of these recordings in the near future. In 1963, Fridolin developed an interest in gamelan music and started a band with friends and co-workers. He wrote a wealth of music sheets and other material, which are now kept in Danish Folklore Archives in Copenhagen.